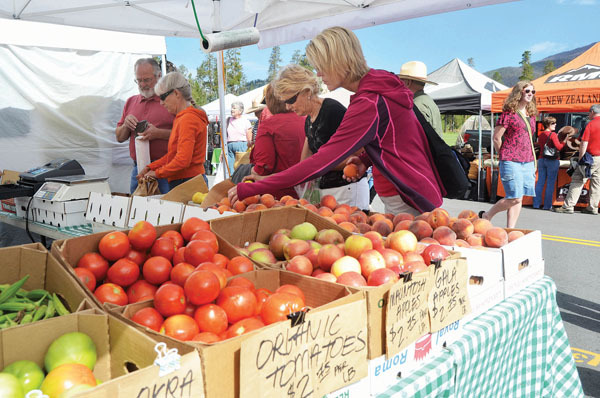 Dillon Town Council on Tuesday voted to allow vendors to use public parks during town-sanctioned events such as markets, festivals and concerts. However, the unanimous decision was not without controversy. Two residents voiced opposition at the meeting. They argued that the town’s new vendor rules could increase traffic and lead to the deterioration of park land. Barb Richard, speaking on behalf of a number of Dillon residents, wanted to know how the town plans to mitigate the affects of increased park usage. Town manager Joe Wray said that the vendors would be liable for any damage to park grounds. He also pointed out that there are a number of rules and restrictions already in place that prohibit vendors from driving on open space. In a previous attempt to allow vendor-based events on town park property, the council in August suggested re-zoning Town Park from parks and open space to public facilities. The purpose behind wanting to move such events to the public space, said Wray, has been to find a way to keep these events from blocking town streets and inconveniencing businesses. However, 75 Dillon residents showed up at the town council meeting at that time to voice their disapproval of the re-zoning plan. The majority of the dissent revolved around wanting to keep Town Park as an official open space, with the fear that if that designation changed, it would open the park up to possible industrial elements in the future. “Their voice was loud and clear that they didn’t want to see a re-zoning,” said Wray at Tuesday’s meeting. The council withdrew the re-zoning application and instead changed the language in the town code to allow vendor-based events on town park property, rather than changing the designation of Town Park itself. A master plan for Town Park is currently in development.